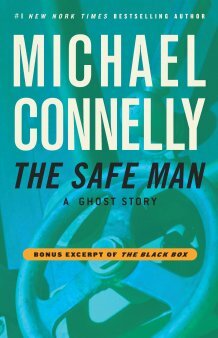 If you’d like a couple of thrills and chills, you can get them through The Safe Man, this ghost story that just came out as an eBook short. It all begins when a certain Brian Holloway is summoned at a house on Shell Island to open a safe, that came along with the house, built in 1929, which used to belong to a rich industrialist. He’s welcomed there by the unlikeable new owner of the property, an author that goes by the name of Paul Robinette. Robinette wants Holloway not only to open the safe but also remove it, since he believes it could prove dangerous for him and his daughter; someone could break in to open it and thus put their lives in danger. Holloway doesn’t quite follow the man’s logic, but he has a job to do, so he gets on with it. Opening the safe though will not prove so easy since it seems to be the one and only of its kind. It’s so rare actually that almost no one in the profession knows anything about it. Anyway, after a lot of effort he manages to drill a hole in, and uses a scope to look inside in order to get an idea of what he needs to do next. But when he does that he sees for a fleeting moment something, like a shadow, inside that gives him the chills. When he finally manages to open it though, he finds it empty. Did he really see something, or was it but a figment of his imagination? Oh well, he was asked to do a job and he did it. But why is he still so preoccupied with what happened? And why does he keep thinking about the girl that appeared by his side in the room while he was working? He has a very bad feeling about the whole thing and when he hears from a man in Canada who knows the history of the safe that feeling turns into fear. Before he can do anything to appease it though, something else happens; something extremely bad: Robinette’s daughter goes missing and he’s the prime suspect, since his father was a big time criminal, and the cops think that the apple may not have fallen that far away from the tree. 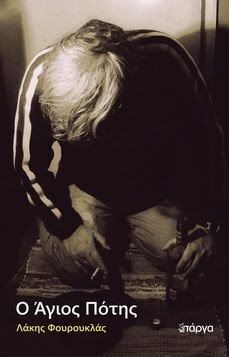 So from the one moment to the next he finds himself cornered and his life falling apart. Is there anything he can do to avoid the oncoming disaster? Was what the man from Canada told him indeed the truth? Did he open that safe door only to let out a curse that would come to haunt his life? There are so many questions, and if you are interested in finding the answers, the only thing you need to do is read this well-written story.